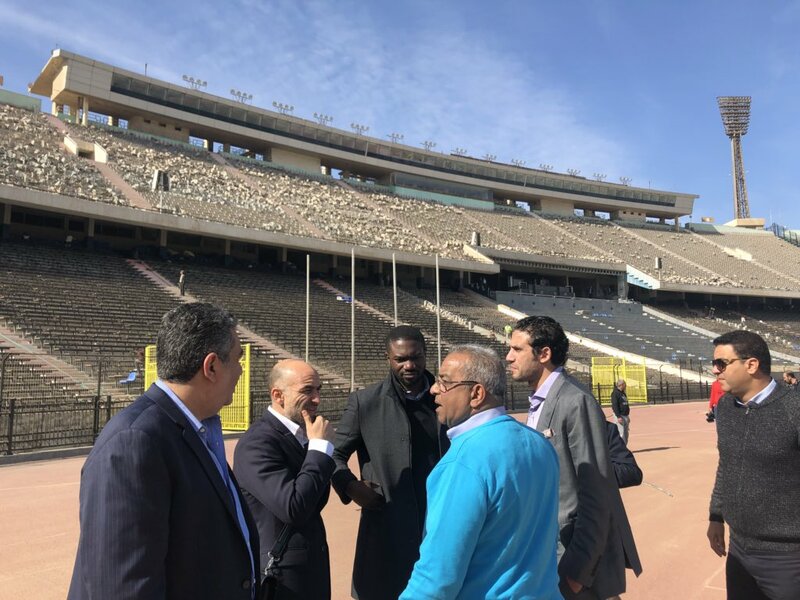 Ahead of the 2019 African Cup of Nations (AFCON) in June, the Confederation of African Football (CAF) has begun its on-site inspection in Egypt with visits on Sunday to the Cairo stadium proceeding to Suez on Monday. The CAF delegation will inspect facilities at the host cities to ensure to meet international standards, considering that it has been expanded from 16 to 24 participating teams. Egypt won the rights to host the AFCON after Cameroon, who originally won the rights, were stripped due to delays in stadium construction and security concerns. CAF is taking measures to ensure that the host country is properly prepared for the newly expanded tournament.